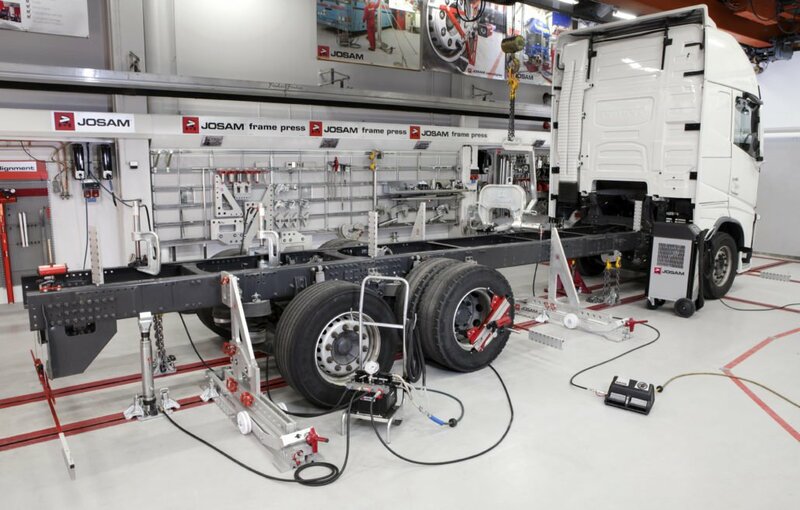 Frame repair systems for heavy vehicles. 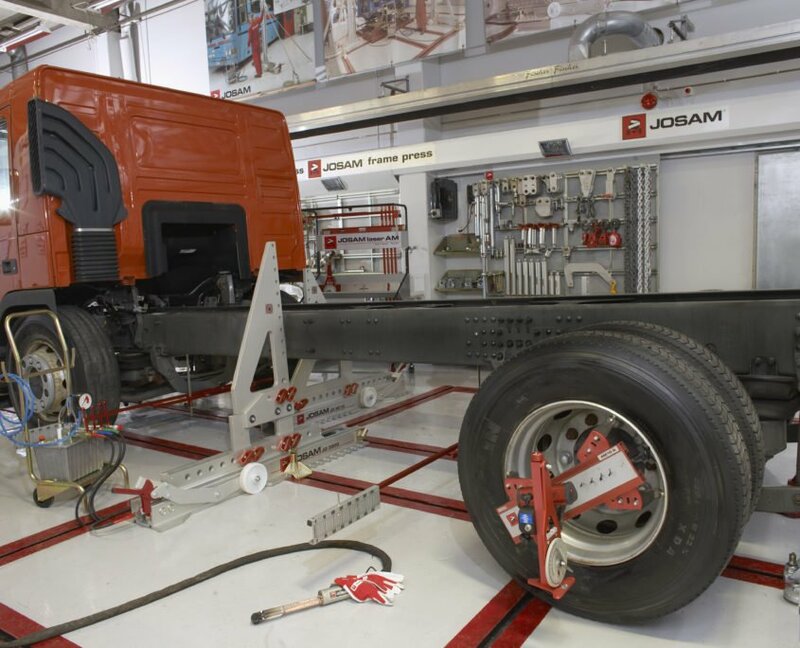 JOSAM frame press for chassis repair – number one in the world. The majority of the components used in frame straightening are manufactured in a special aluminium alloy. 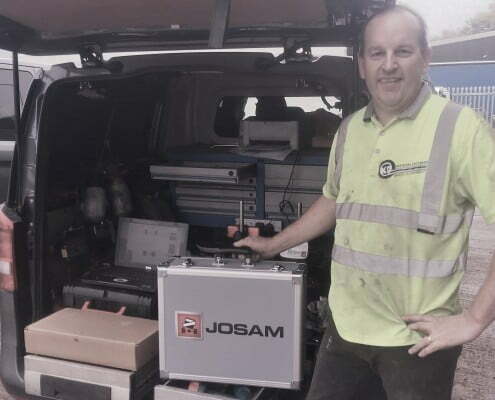 The equipment is lightweight, strong and easy to use and easy to handle. 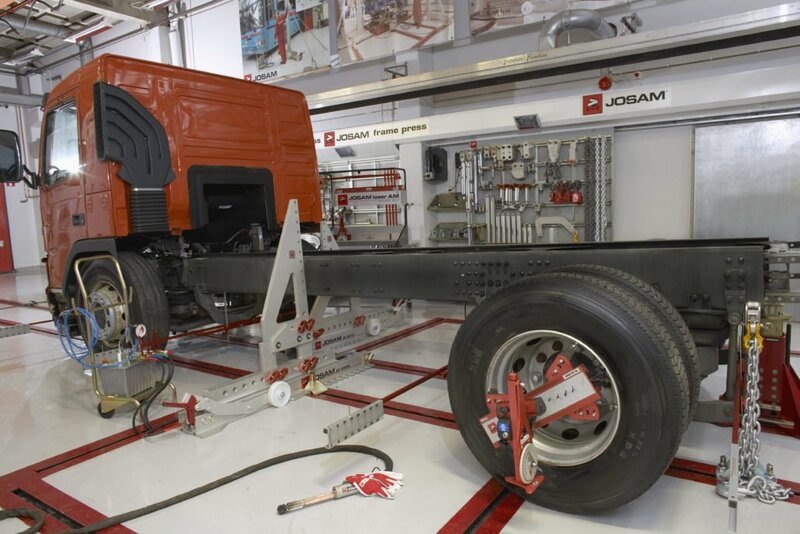 JOSAM frame press for chassis repair – number one in Europe – are used all around the world. 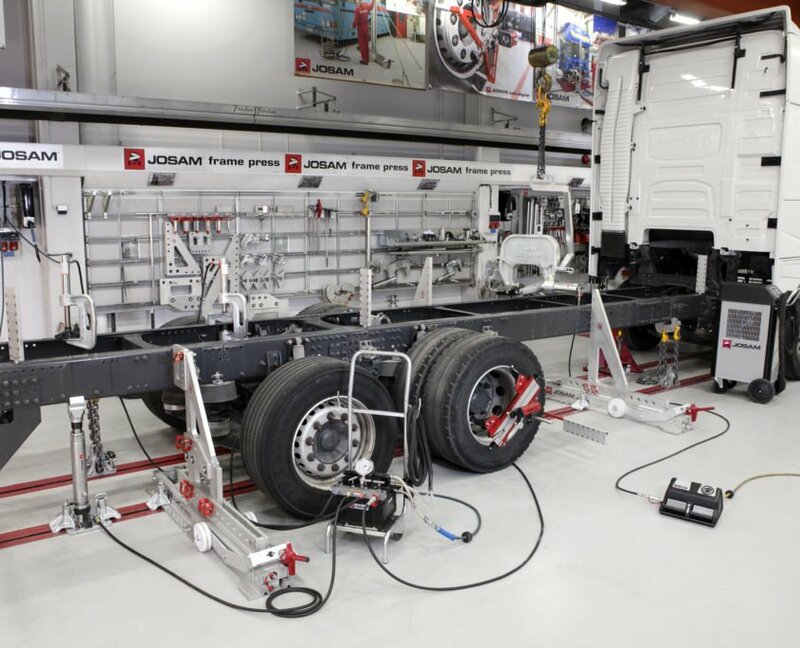 Our market leading position is based on high technology and quality resulting from our research and development work which ensures that it fulfills the demands which are placed on frame repair of heavy vehicles. The majority of the components used in frame straightening are manufactured in a special aluminium alloy. The equipment is lightweight, strong and easy to handle. 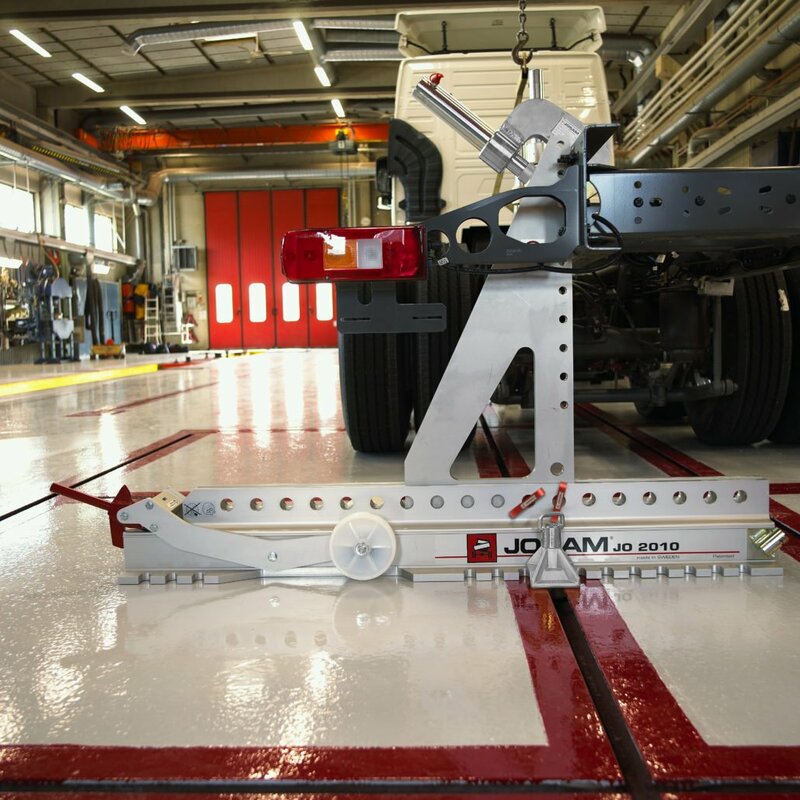 A great advantage is that the press trolleys can be used in confined spaces. 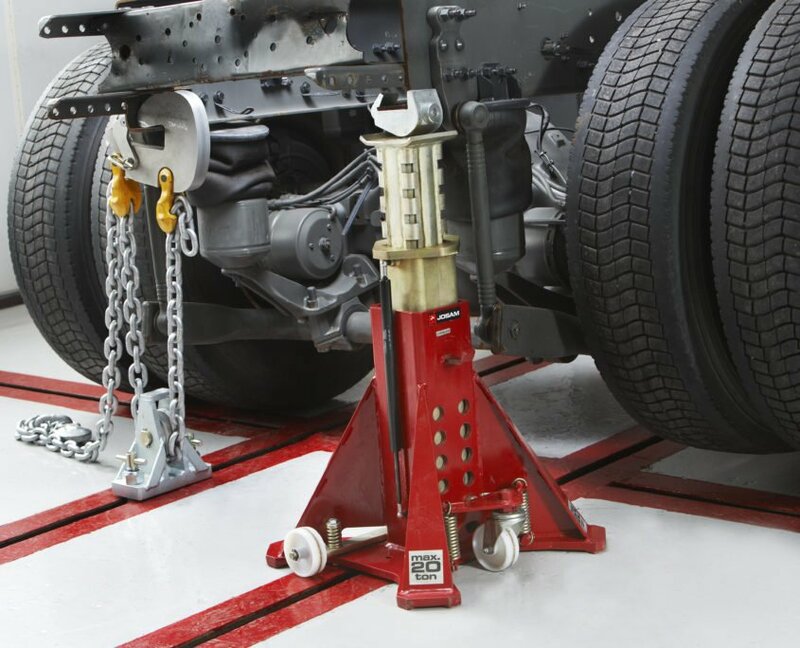 Presses and other tools are anchored to I-beams which can be custom designed to any size or situation. 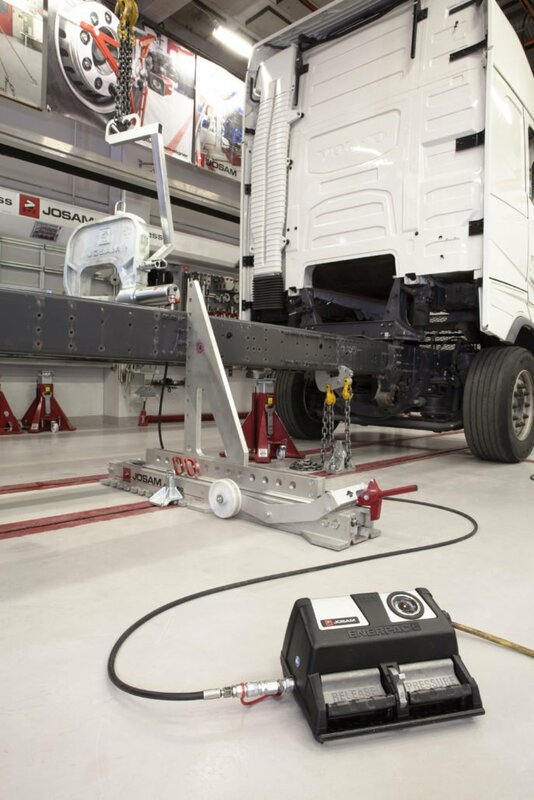 The JOSAM alignment system is founded on the principle of l-beams cast in the workshop floor. 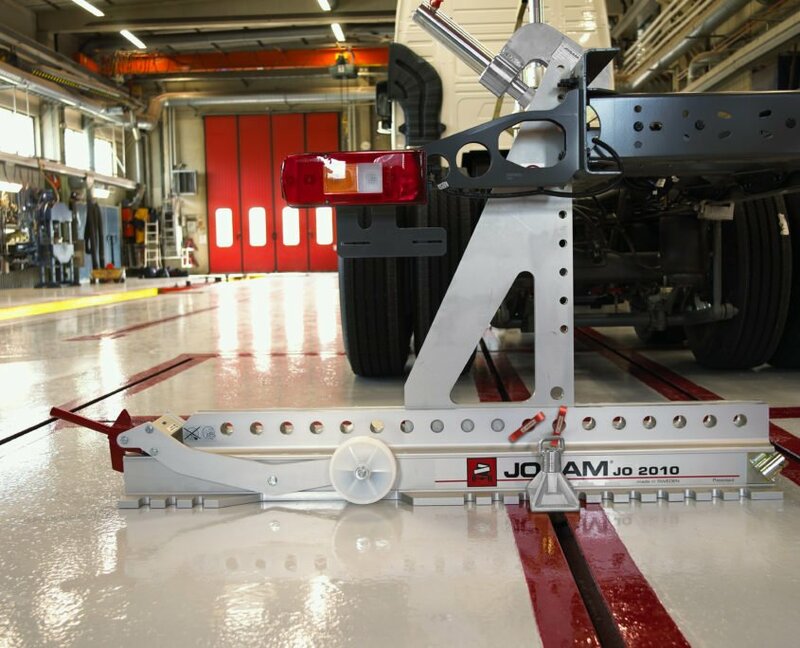 Combined with the JOSAM service pit it makes the ideal working area for straightening heavy and light trucks, trailers and buses. 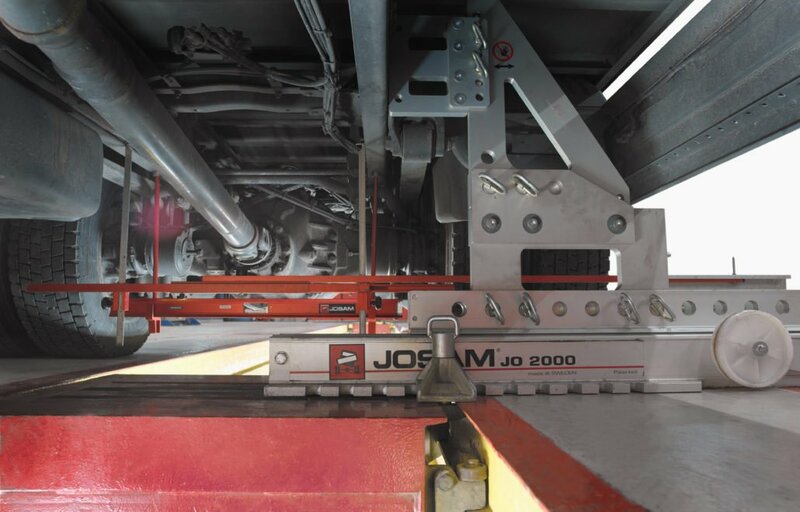 Presses and other tools are easily anchored to the floor rails, enabling both horizontal and vertical repairs to be carried out. 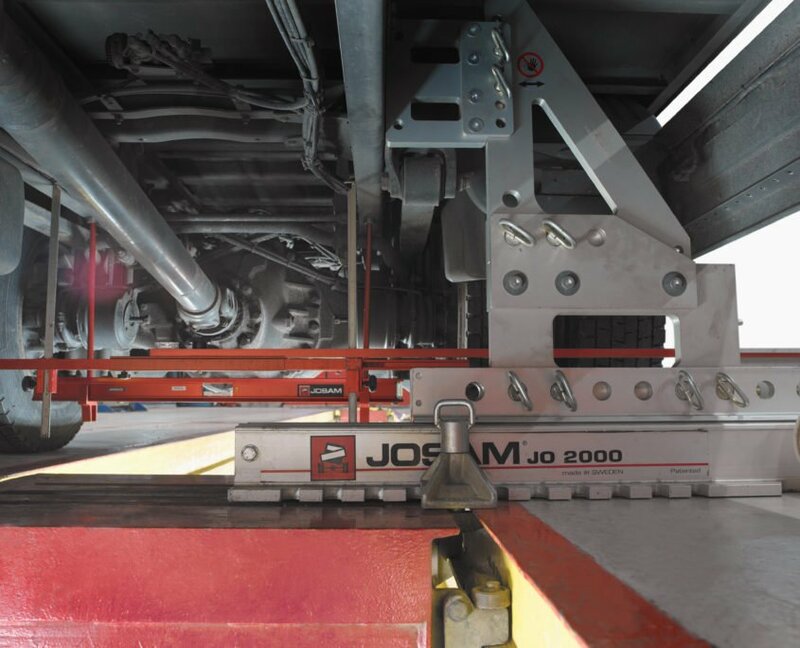 This system works hydraulically and is manufactured in two versions with a press capacity of 20-40 tons respectively. The presses are on wheels and can be equipped with brackets, chain anchors, cylinder anchors and adapter kits. 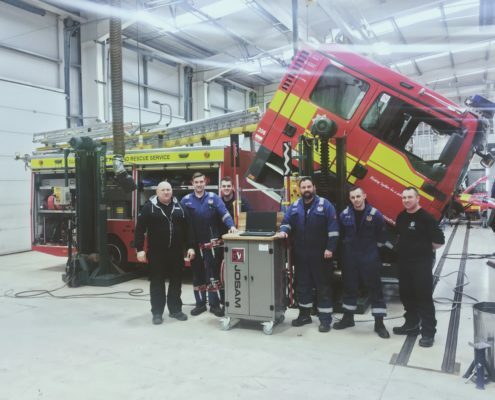 By making the presses in a new aluminium alloy instead of steel, it is possible to retain the strength and robustness of the original product, while drastically reducing the weight. 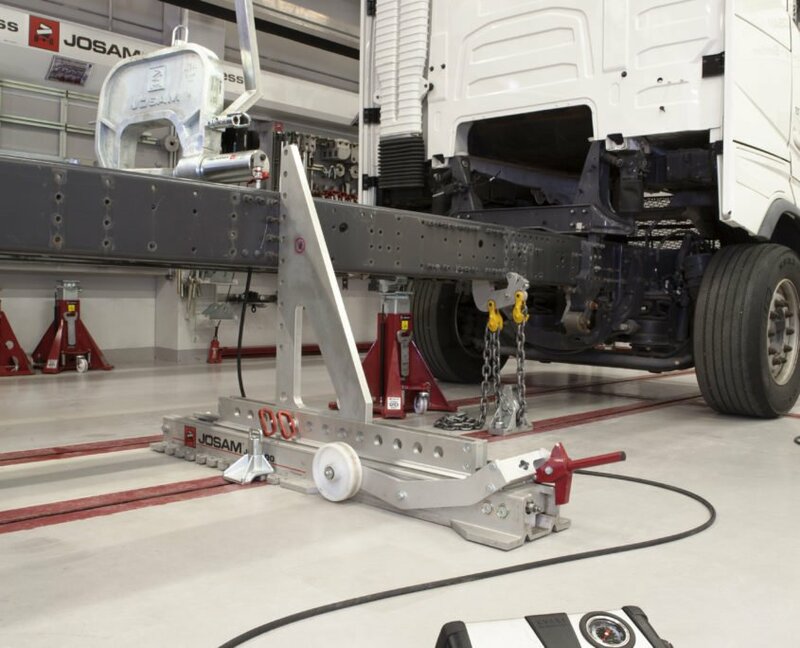 It makes the equipment considerably lighter and easier to handle.